Description: This 34-year-old female underwent Gastric Bypass procedure and lost over 100lbs of weight. She was left with excess skin of the abdomen, thighs, arms and breasts. 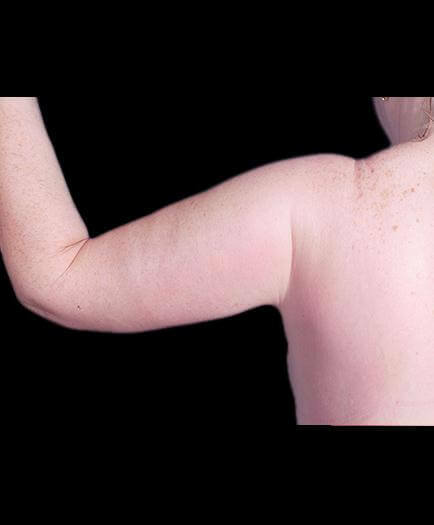 In the course of 9 months the patient underwent multiple procedures to excise the excess skin from these areas. Her procedures included a vertical incision abdominoplasty, thigh lift, arm lift, and breast lift.